What Does it Mean when Contracts Rollover? Why do Futures Contracts Rollover? 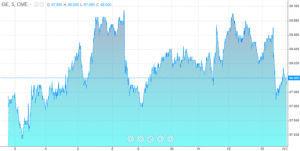 How Do Futures Behave Heading into a Contracts Rollover Period? Unlike stocks or spot markets where the instrument can trade in perpetuity, futures contracts have a set rollover or expiration date. “Rollover” refers to the process of closing out all options positions in soon-to-expire futures contracts and opening contracts in newly formed contracts. The rollover process impacts market volatility, prices, and volume. Futures contracts track the prices of the underlying market. A futures contract is where a buyer and seller agree to contract size, price and future date of delivery. Most traders in today's market to hedge against market exposure rather than taking physical delivery of the asset. The below table illustrates the S&P 500 E-mini futures contract and the corresponding settlement date. By the contract rolling over, the investor never has to deliver the physical asset. Since we have covered why futures contracts rollover, let's now dive into the two methods of how futures contracts are settled. Physically settled futures contracts are more prominent in non-financial markets or commodity markets. These include grains, livestock, and precious metals where there is an underlying commodity. After the futures contract expires, it is the job of the clearinghouse to match the holder of the long contract and the holder of the short contract. The trader holding the short contract is required to deliver the underlying asset to the holder of the long contract. To make the exchange, the holder of the long contract must place the entire value of the contract with the clearinghouse in order to take delivery of the asset. This can be a costly affair and can vary from one market to another. For example, one contract of crude oil controls 1000 barrels of oil. At a price of $50 per barrel, the holder of the long contract must deposit $50 x 1000, $50,000 with the clearinghouse to take delivery. On top of this, there are additional costs of storage and delivery that the buyer must pay for. As you can see from the above, taking physical delivery of a commodity can be expensive. Cash-settled futures contract provide cash instead of physical delivery of an asset. Many financial futures contracts fall under this category such as the E-Mini contract. The futures contracts settle for cash after expiration. The prices are marked to market, and the futures trader’s account is either debited or credited depending on whether the trader was long or short. Last trading day is the date when you can trade the futures contract (open/close/modify your position). After the last trading day, all positions are set to 'close only' mode. Expiration day is the date that a futures contract is binding for. After expiration, the contract is no longer valid. Expiration hour is the hour when a futures contract expires. In most cases, this is during the last trading hour of the expiration day. First, not all futures rollover at the same time. 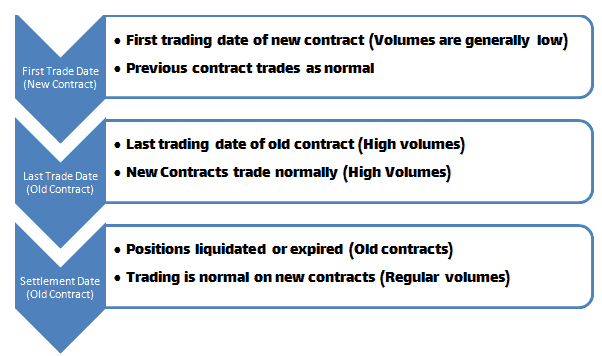 The below graphic provides details of the trading behavior for the new and old contract. In most cases, your futures broker will automatically close out the position. However, it is in your best interest not to let that happen but rather focus on managing your position before the expiration date. There is usually a few days gap between the last trading day and the expiration day, this is known as the roll date. It is during these days that volatility picks up. Roll dates are unique to each contract and can vary in duration. As an example, the roll date for the emini S&P500 futures is around eight days prior to expiration date. The period of roll date is one of the most volatile periods as it marks the end of the current contract and the beginning of a new contract. 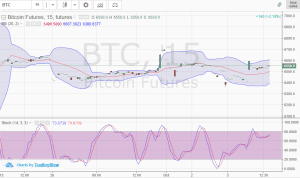 Therefore, volumes will start to shift significantly as traders start closing out the positions on the existing contracts and open new positions in the fresh or the front month contracts. Price volatility can be seen in both the contract periods. It goes without saying that traders who trade a contract during the roll dates will find it difficult to manage their traders and traders should also expect to see slippage in prices. Trading volumes during these periods are typically split between the expiring contract and the new contracts leading to large price swings and gaps. The roll dates influence not just volumes but can also lead to higher spreads which makes it difficult to enter or exit from a day trading perspective. You might have heard of the term triple witching and quadruple witching. While it has nothing to do with Halloween, double, triple and quadruple witching refers to a phenomenon when different asset classes or derivates expire on the same day. These periods can see a high level of volatility and can lead to erratic market behavior. Double witching takes place on the third Friday of the month, eight times a year. It is when contracts for stock index futures and stock index options expire on the same day. Double witching happens eight months in a year except in March, June, September, and December. Triple witching is a phenomenon when stock index futures, stock index options, and stock options all expire on the same day. It usually takes place on the third Friday of the month. It occurs during March, June, September, and December. 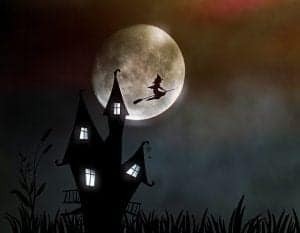 Quadruple witching is similar to triple witching except that in addition to the three asset classes that expire, even the single stock futures expire on the same day. It also takes place four times a year during March, June, September, and December on the third Friday of the month. The period surrounding the roll dates are often challenging times for traders. Therefore, traders should reevaluate their strategy during these periods. 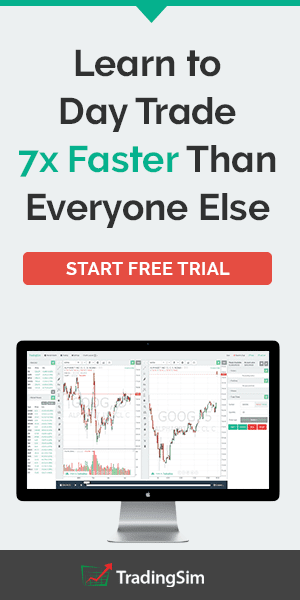 Day traders need to be aware of the volatility that takes place during rollover periods. These expiration periods are nothing to fear. Your futures broker will send multiple alerts in the weeks and days leading up to a contract’s expiration. Understanding rollover dates can better prepare you as a day trader for macro-level moves in the market. This can help you determine for example if a breakout or pullback strategy is more appropriate for the market environment. Good luck trading and to test out strategies related to contract rollover dates, please check out the futures platform within TradingSim. To learn more about how futures contract rollover, please see this YouTube video.